The LG Optimus Fuel is a beautifully made smartphone that runs on Android 4.4 KitKat. It comes with a 3.5-inch display, a 480x320 resolution, and a 165ppi pixel density. 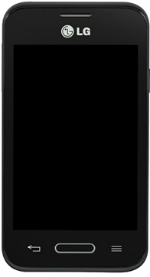 From within the device, a 1.2GHz dual-core processor operates. There is a 1.79GB built-in memory included in the device with a microSD card slot that can support up to 32GB. Its 1700mAh battery helps the device last up to 10 hours of talk time and 11 days in standby mode. To take pictures with the phone, there is a 3MP rear-facing camera complete with smile detection, digital zoom, voice activation, and geo-tagging. The back camera can also record videos with its WVGA camera.